Vintage cars can be found not only at auctions, but mainly in places where no one looks. Speech is about the old garages, sheds, where they often are real gems of automotive industry are hidden. Often media reports of such giant discoveries. 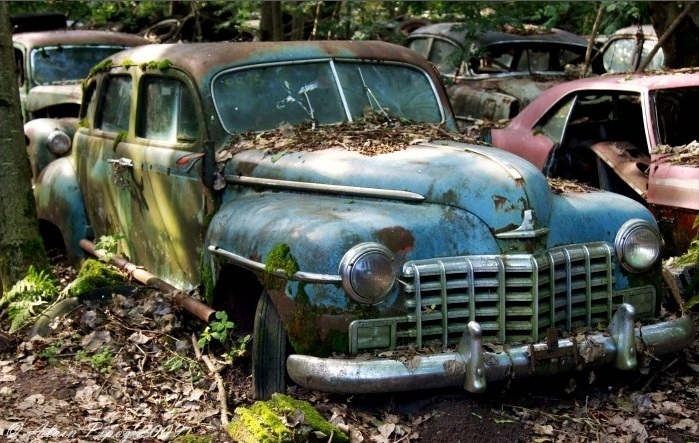 One of them is recently found a collection of cars that were hidden in an ordinary shed. This discovery was made in the south of France. In total, hidden there were more than 60 vintage cars. 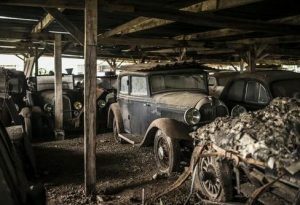 Another interesting discovery was made in Portugal in the vicinity of Lisbon were a forgotten collection of antique cars was found. An intriguing finding was also a half thousand cars that simply standing on the abandoned farm in Nebraska. Similarly in overseas, in Texas, made the random discovery of a large graveyard of cars, were 1054 of pics stand in forgotten farm. There are also places where they were previously located car dealerships. Today they stand abandoned, and in some of them you can find real treasures. An example is the salon of Toyota located in Cyprus, where they stand a cars with very low mileage, which stand there for decades. 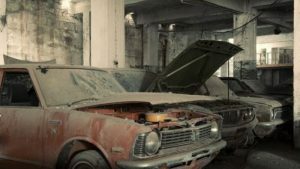 However, you do not need to look too far for a treasure, because even in Poland, in Tarnow, made discovery of a Fiat 125p, which came from the early years of his production.